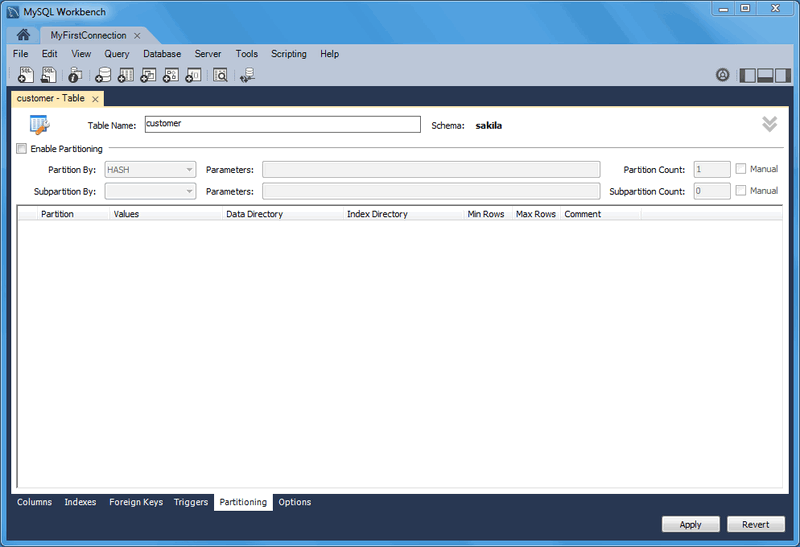 To enable partitioning for your table, check the Enable Partitioning check box. This enables the partitioning options (shown in the figure that follows). Use the Parameters field to define any parameters to be supplied to the partitioning function, such as an integer column value. Subpartitioning is also available. For more information about partitioning, see Partitioning.